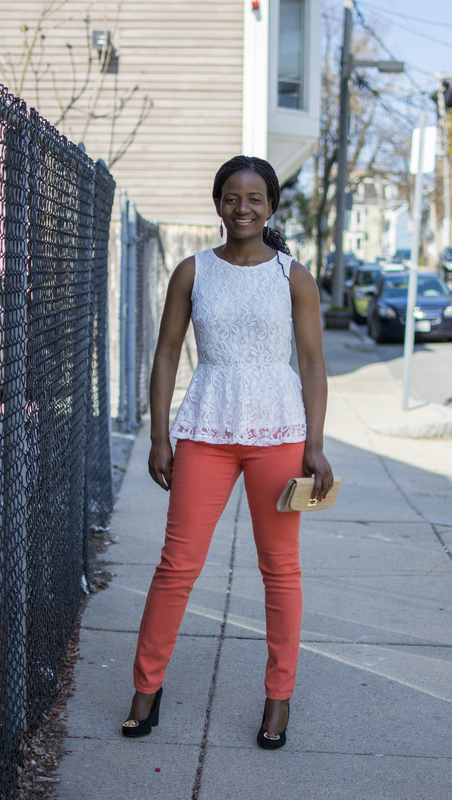 Yesterday I wore two pieces that are very popular this season; a lace peplum top, and very bright & bold mandarin colored skinny jeans. This outfit definitely brightened my weekend! Special thanks to my roommate for the photos! Love the bright jeans – they look fab on you too! Cute cute cute! Love your style!